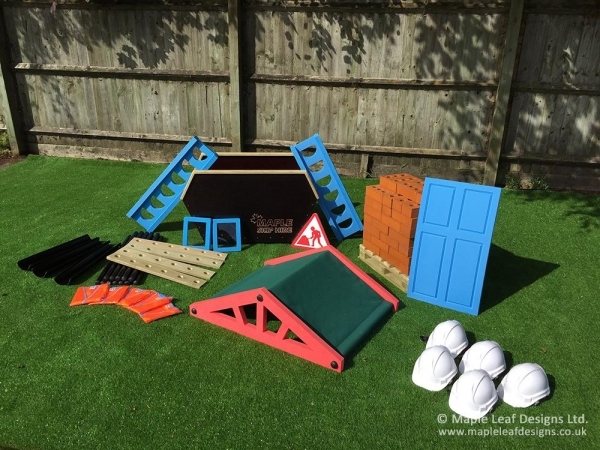 The Maple Hire Construction Set is a brilliantly engaging way to encourage collaborative creation and roleplay. Children can let their imaginations run wild, finding new and exciting ways to piece together a multitude of different structures. On top of this, the I-Beam and Guttering set allows the children to construct their own water run, offering even more play elements in one amazing set. All of the equipment included is suitable for indoor and outdoor use, and packs away neatly into the wheeled wooden skip provided.